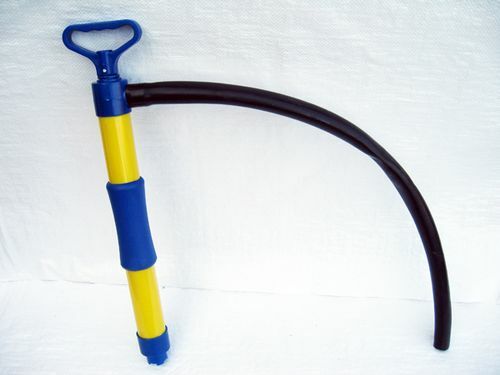 Hand Suction Pumps Are Perfect For Liquid Transfer Or As A Bailer On Boats. This pump is easy to use to transfer fresh or salt water from one place to another. These Manual Diaphragm Hand Pumps Are Great To Use On Marine Equipment. Our Manual Diaphragm Hand Pumps Are Perfect ForTransferring Water. When it comes to marine chandlery and stainless fittings for your boat or dinghies there are plenty items you will need to make sure it is in the best condition and you will only want the highest quality products. That is why here at SecureFix Direct we only stock top items and our hand water pumps are no exception. Our hand water pumps are primarily used as bailers and manual bilge pumps on small boats and dinghies for removing water quickly. The hand water pumps we supply are also ideally used for emptying tanks or drains and great for liquid transfer. We also have a wide variety of marine equipment and supplies all of which are to the highest quality. The hand water pumps we stock here at SecureFix Direct are all incredibly lightweight so they are not only easy to use but are also compact making them perfect pieces of equipment which can be easily stored away when they are not needed. The majority of our products here at SecureFix Direct are highly durable and our hand water pumps are all made from anti corrosion plastic to ensure they last you for many years to come. Here at SecureFix Direct we are proud of the products that we supply and we only stock the highest quality of stainless fittings and marine equipment and have done for many years now. No matter the items you are looking for we are confident that you will find them here, and at the most competitive prices. On top of that we have a fast delivery system as well as offering free postage; we aim to deliver your times to you as soon as possible so you can begin to use them in no time at all. As part of our service we also have a dedicated customer support system. If you are ever unsure on the right products, then we urge you to get in touch with a member of our friendly staff who will be more than happy to help, should you need it. If you have any questions please do not hesitate to contact us today.